LORETTO, Pa. - Keith Braxton scored 19 points, grabbed 15 rebounds and had eight assists and Saint Francis (PA) won its fourth-straight game 90-85 over Central Connecticut State on Thursday night. Isaiah Blackmon also had 19 points and Jamaal King 14 with eight assists for the Red Flash (11-11, 7-4 Northeast Athletic Conference), who had five players in double figures and eight with at least eight points. Tyler Kohl had a career-high 35 points, seven assists, five rebounds and four steals for the Blue Devils (10-15, 4-8), Ian Krishnan added 17 points and Jamir Coleman had 14 with 10 rebounds. Blackmon and Braxton had 11 points and King 10 to offset 18 by Kohl as Saint Francis led 48-40 at the half. The Red Flash had six 3-pointers, the Blue Devils were 15 of 17 from the foul line. The Red Flash had a quick 12-2 run early in the second half, pushing the lead to 64-44 on a Randall Gaskins 3-pointer with 17½ minutes to go. 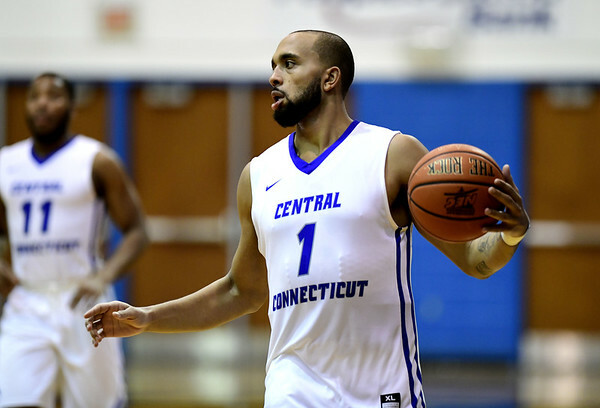 CCSU got it back to a dozen before a 9-0 run made it a 21-point lead at the midway point. The Blue Devils, who lost the first meeting 80-69, came back with a 12-0 run to get the deficit to single digits and closed within five with a minute to go but that was it. Posted in Newington Town Crier, CCSU on Thursday, 7 February 2019 21:27. Updated: Thursday, 7 February 2019 21:29.